Starting an online clothing store business is a great idea! It doesn’t matter if whether you have a real world boutique, are breaking into the fashion world, or just want to earn some extra income through your great sense of style. With an online store, you’ve got limited costs but big time earnings potential thanks to technology and constantly evolving targeting strategies. The fact is, thanks to the internet and the convenience shopping online brings, more and more purchases are being made online and delivered right to a customer’s doorstep. Buyers have more access to different design options at cheaper prices than ever before. There’s a right way and a wrong way to start a successful online clothing business. That’s what this article is for. By the time you finish reading this post, you’ll understand how to start an online clothing business from home without spending every cent you have. Before you can start your online clothing business, you have to know how the industry works! These are only some of the questions you’d ask when starting an online business. Normally, when people need to understand the nitty-gritty of an industry, they find a job within that industry. But you probably don’t know any online clothing store owners you can go intern or work for. One thing you can do is research all your favorite onlines stores. Learn everything you can about them. Email their support team with questions about how their operations work. See if you interview any of their high level staff! And then, approach your research through a customer’s perspective. Visit your favorite online stores as a customer and buy different products you’re interested in. Not just your favorite top. Buy shirts, dresses, shoes, accessories, bras, and anything else they have. Make sure to buy from different stores. I’m not saying you have to go max out your credit cards. What I am saying is that you need to see how your purchases are wrapped, what else comes in the packaging, how long the shipping takes, what services the stores use for shipping and what promotional items are included, etc. And then go through the return process. Send things back. Where are you sending them? Is it to the store’s listed address? Another address? Is that address a manufacturer? A distributor? A fulfillment center? A warehouse maybe? What does the process entail? Is there a form to fill out? Is the return process easy or hard? How do the stores communicate with you? Do you get emails from them? What do those emails say? Is it all sales promotions or is there some fun blog posts and tips and lifestyle info involved? The point I’m making is that the more you know ahead of time about how to run an online clothing business, the easier it will be to start your own online clothing store. Devote as much time as you need to researching the industry, and when you feel you’re ready, it’s time to create a plan. Why do online clothing businesses fail? Just like any other business, an online clothing store will fail if you don’t have a plan. Without a plan, your operation costs will be significantly higher and your ability to properly serve customers will be significantly lowered. And if you don’t have customers, your business can not succeed. What brands will I carry? Who will I sell them to? Cost of goods per item? How much inventory do I need to have on hand? How will I promote my store? While these questions are important, they’re really guides to get you thinking about how your business will operate. Maybe you decide you don’t want any inventory or costs, and just want to set up a whitelabeled store where you sell merchandise from other stores and earn commissions, with the other store handling all the details. Another strategy is what’s called dropshipping. This is similar to having a whitelabeled store. With dropshipping, you can move goods directly from the manufacturer or distributor to your customer while earning an affiliate payout. For this, you would find an online big box retailer and create an affiliate account with the retailer. Then you’d create your own site, with better photos and descriptions, and promote your site to potential customers. Then you take their orders they placed with you and place the same order with the big box retailer along with your affiliate code, which would have the retailer place your label on the package, and some coupons or marketing collateral with your information on it. Dropshipping takes more work than white-labeled stores, but pay significantly more. Whatever model you decide on, the important thing is to write out a plan to make it happen. When it comes to starting a online clothing business, people always have questions about the financial benefits. How much money do online clothing stores make? Is now a good time to open an online clothing business? How big is the online clothing industry? According to Statista, retail e-commerce sales in the U.S. totaled $322 billion in 2016, and are projected to rise to $485 billion in 2021. As a result, traditional retailers are investing in an online platform to avoid being left behind as more and more people embrace shopping online from home. That makes opening an online clothing store a very appealing idea. To figure out your earnings potential, first, you must understand your costs. Costs will vary based on what model of store you’re going to operate. If you’re dropshipping, your costs will be website hosting and payment processing. Then you figure out your affiliate commision with your partner store, and you know your profit margin. From there your earnings potential is based solely on how much traffic you can drive to your site and how much (and of what) your customers are buying. If you’re creating a true online store brand and selling your own designs made through a printer, your costs include web hosting, payment processing, and cost per clothing item, which should be factored into setting your prices. For whitelabel stores, your only costs are marketing, as sites will give you a free online store to earn your commissions with. Once you understand all your costs, your earnings potential comes down to how much it costs you to make a sale, which is covered below. How much does it cost to open an online clothing store? Again, that depends on your store model. But creating an online clothing business is significantly cheaper than creating a brick and mortar business.If you’re creating a full store, selling your own designs, then it’ll be a bit more, but still very affordable. If you’re using a done-for-you store like Etsy, then you can ignore these costs and get started for free. Just remember, the more control you want over your store, the more investment it requires. But with that comes higher earnings potential. Figure out how much money you have available, and build a budget around that. When starting an online retail clothing store, you must plan ahead on what products you want to offer. To do this first, start with understanding your target market. 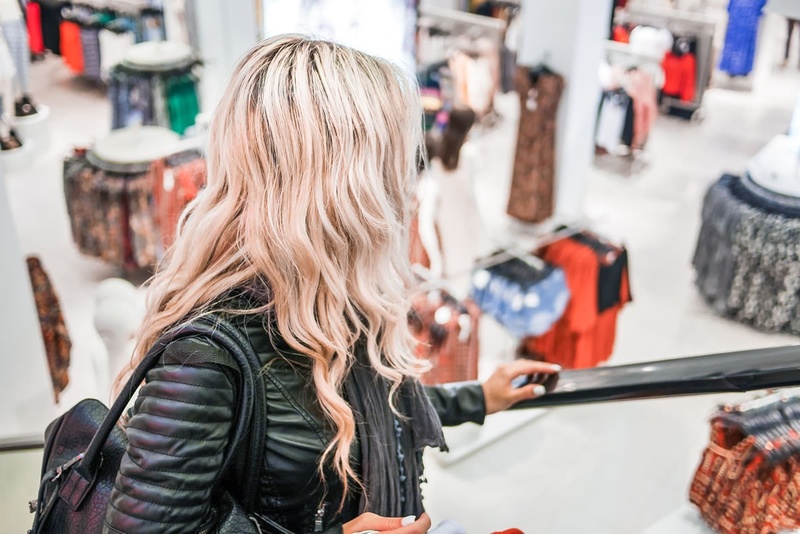 If your goal is to appeal to parents shopping for their children, your products would be different than if marketing to female college students or corporate businessmen. Once you know your target market, pick products which will appeal to them. You can pick out all your favorite pieces, but in the end, if you want to start a successful online clothing business, then you have to put the customer first and base your choices on them and not your own personal preferences. Eventually, you won’t have to guess. You can review sales reports and analytics to see what products people are looking at and buying. At that point, you have data telling you what to offer, and more importantly, what to remove. But to start, pick a few different styles and see what sells best. What are you planning on calling your store? If you’re building your own site, you’ll want a name that’s easy to remember with an easy web URL for customers to be able to tell their friends about. Your name should match your offerings, too. Remember to pick a name which will appeal to your target market, and go from there. If you’re struggling with a logo, you can go to 99designs.com and have designers compete for you, with you choosing a winning design out of many choices. For an online clothing store, your supply needs are much lower than a traditional brick and mortar store. You don’t need the standard things, such as furniture, hangers, clothing racks, or display cases. In fact, if you’re drop shipping or white labeling a store, you don’t really need any supplies. But if you’re building a private label online clothing company, then you’ll want to make sure you have a reliable printer or clothing manufacturer to supply your store with your designs. When choosing a manufacturer, a wholesale dealer can offer better prices for you. However, you’re more likely to find significantly better prices from overseas. A domestic wholesaler is generally more expensive because the cost of importing and storing goods manufactured overseas is factored into their costs. Also, a domestic wholesaler saves you the trouble of having to deal with importing goods yourself, as well as having to worry about quality assurance, since the domestic wholesaler takes care of that. Whether you are more concerned with time or cost savings can help determine if you’re interested in a domestic or overseas wholesaler. Marketing your online clothing store is crucial to your success. But thanks to technology, that’s easier than ever before. Remember, it all starts with your target market. Who are you speaking to? And where do they hang out online? An incredibly powerful tool in today’s online world is Facebook. With more than 1.78 billion active users, Facebook is a goldmine of potential customers. And their ads system is incredibly user-friendly, letting you target your specific audience. Then, you simply create an appealing ad and drive traffic to your site. But make sure you’re actually monitoring your ads and analytics. Pay attention to how much each click to your site is costing you, and how you can improve that. For example, if you look at the performance of your ad (which let’s say is targeting women aged 18-65), you can see a breakdown of which age groups are engaging with your ads and which are ignoring your ads. If Women ages 18-24 are not clicking on your ad, then remove them from your audience demographic, and your ad costs will go down. The more relevant your ad is, the cheaper it becomes. You can do the same thing with Google to an extent. You’ll want to focus on search engine optimization (SEO) and Google Adwords. By including lots of highly searched terms in your website, your page is more likely to show up at the top of Google’s results. And since Google owns YouTube, having a channel with videos tagged with specific search terms can help your page appear at the top, as well. The reason understanding your marketing costs is so important is because it helps predict sales. If you know that it costs $0.25 to get someone to click on your ad, and you make an average $50 sale for every 100 people who come to your site, then you’re spending $25 on ads to make $50 in sales. Do not underestimate the importance of promoting your online clothing business! Will you be running your business by yourself? An online clothing store is one of the few businesses in which you can do that, depending on which model you run. However, if you plan on needing help, then you need to have a plan in place to find employees. What does your training plan entail? It’s important to have all of this figured out ahead of time to make your business more efficient. If you overstaff, or employees are just sitting around, you’re costing your business money. Thus, having a staffing plan in place optimizes your labor. To track everything, use an e-commerce platform like Shopify. However, if you’re building your own site then it’s important you keep track of all sales, returns, and expenses. This not only prepares you for tax season but also helps you track your profits and understand how much money you have available for marketing. The fashion community is a fun group. There are always events and shows going on all over the country. Attend those shows and events, and make friends and connections wherever you can. Also, look for local events that you can attend and or sponsor to build relationships and get attention from businesses who may have a need for your services in the future. Additionally, you should check out meetup.com for local industry get-togethers. You never know when (or where) you may find the missing piece to your store’s success. Therefore, be active and engaged in the fashion scene, not only in your area but all over. Opening (and running) an online clothing store is a great way to start a business with limited investment costs. And if you do it right, it’s not only rewarding, it’s a lot of fun. If this was helpful for you and you want to learn more about opening an online clothing business, remember to download StartupJungle.com’s 21-point checklist for starting your new business.